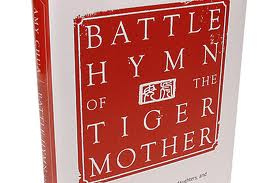 Lee is responding to Yale Law professor Amy Chua’s highly controversial book Battle Hymn of the Tiger Mother (2011). In advance of the book, The Wall Street Journal published “Why Chinese Mothers are Superior.” In the article and the book, Chua argues that Western parents do their children a disservice by not raising them with strict and demanding expectations for achievement. How do we explain the academic achievement of Asians, especially when the patterns defy traditional status attainment models? This topic is especially suited for most undergrads (18-22 year olds) in that they have only recently left their parents home and generally do not have families of their own. This life stage puts them in a unique position to compare how they were raised with how they want to raise their own (hypothetical) children when it comes to educational achievement. For further context, check out the audio review of Chua’s book and parenting method on NPR and an excerpt from the book, as well as a response from Amy Chua to reader’s questions and a response her oldest daughter (age 18) to the criticism her mom received after publishing Battle Hymn. 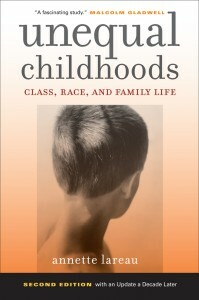 Featured on The Society Pages last week was an edited interview with Annette Lareau conducted last year by Jack Lam (sociology graduate student at Minnesota) and I on her updated edition of her famous book Unequal Childhoods (University of California Press). You can listen to and download the entire interview from Office Hours. We highly recommend using this book in your classes: check out our post on a possible class activity to tie in with the book. Even if you don’t assign the whole book, we recommend referencing her updated findings. Lareau’s important arguments are essential to any discussion on childhood, education, and class. Here is an active learning exercise that could be used with “A Matter of Degrees” by William Beaver (Contexts, Spring 2009). Students will be asked to reflect on the purpose of college. It could also easily be used with a discussion of manifest and latent functions and could be paired with statistics on levels of education throughout the world. Below is a list of reasons for attending college that students commonly cite. Please check the reasons that were motivating factors for you to attend college. Why do you think most students go to college? Do you think that you are learning skills in college that you will use in your job someday? Does you think some majors teach more practical skills than others? If so, how? What was your main reason for going to college? In your opinion, what is the value of a college degree? In other words, what does it show? Directions: Given that much educational inequality is due to disparities during the summer months, some people have proposed year-round schooling. Multiple schools have developed this model, which generally involves 6-8 weeks of class followed by a 2-week break. 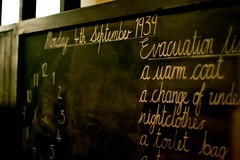 Divide the class into two groups and orchestrate a debate on year-round schooling. The debate will work best if students are given time to prepare beforehand (either assign the groups in the previous class or bring materials for them to use to prepare in class). This assignment should be used after students read “How Schools Really Matter” by Douglas B. Downey and Benjamin G. Gibbs (found in the most recent issue of Contexts). The article would also work great paired with excerpts from Annette Lareau’s Unequal Childhoods. For example, it could be paired with the first 10 pages of the book. In this short response, you should reflect on your childhood. Develop a list of the resources you had in your household and the extracurricular activities that you were enrolled in (both through school and outside of school). Think about how these various resources contributed to your intellectual development. Did your parents have a very “hands-on” (concerted cultivation) approach or were they more “hands-off” (natural growth model)?